We’re GPAC all-sports champs and our students’ CPA pass rates are #2 in the nation. It’s a win-win. 99% of Northwestern’s recent grads got jobs or started grad school within 6 months of graduation. Success starts with Raider Nation. Our profs are impressive researchers and scholars—and award-winning teachers too. It’s a win-win. 99% placement after college, and 9 in 10 say they love this place while they’re here. It’s a win-win. Our MCAT scores are in the top 25% in the world, and Christianity Today calls us "best" for spiritual enrichment. It’s a win-win. Our strong science majors have a bold new home. Learn about our students’ MCAT scores—top 25% worldwide—and other measures of excellence. 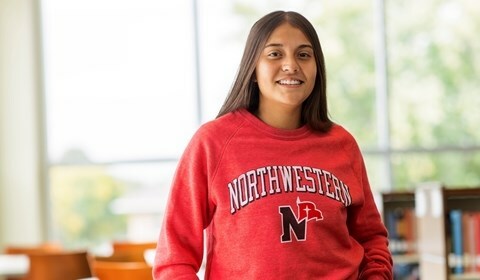 Apply for admission The first step in becoming a student at Northwestern is to apply. You can apply online. Schedule a visit The best way to figure out how a college fits you is to visit. 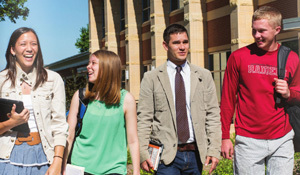 Schedule a campus visit today. 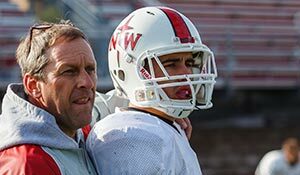 Become a Raider Become a Red Raider, and our winning coaches will help you reach your peak as an athlete—but the challenge won’t end there. Request information Sign up to receive a viewbook and other important information from Northwestern. 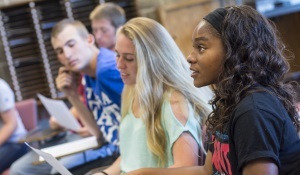 College Factual ranks Northwestern College in nation's top 5 percent for value. Education prof publishes young-adult novel Lila Sybesma has written a book inspired by her family tree. Music and art festival slated for April 26 Intercultural development office presents event. Student artwork featured in juried exhibit Art students' works on display April 15 through May 3. 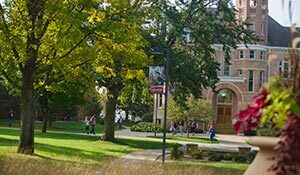 Make plans now to visit Northwestern College. Get a taste of our campus community, and we think you'll want to return. P.A. program info session Learn about our new master's in physician assistant studies. Symphonic Band concert "No Holds Barred" concert features variety. Commencement Weekend NWC celebrates the accomplishments of our 302 graduates. 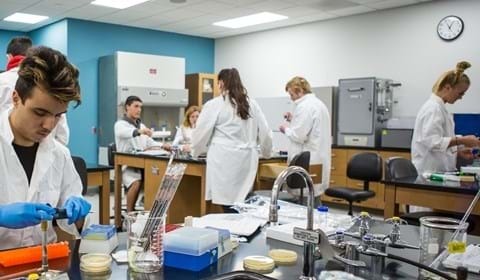 Take a peek inside our new $24.5 million building, which puts science on display and provides outstanding facilities for students and faculty. Inside internships NWC interns tell their real-world experience success stories. 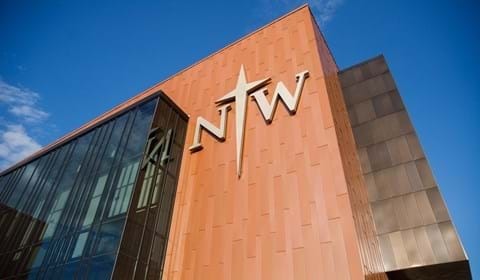 Virtual Northwestern Explore this Christian college from the comfort of your home. Grow in your faith at NWC Here's why we've been recognized for spiritual enrichment. Courageous and faithful. Those words are part of our mission as a Christian college. Together they describe what we want students to be as learners. As Christians. As difference-makers. Our graduates are more than just smart. More than just successful. Because our world needs people prepared for more than just intellectual achievement. It needs people who are also compassionate. Committed. Courageous and faithful. That’s the Northwestern difference.